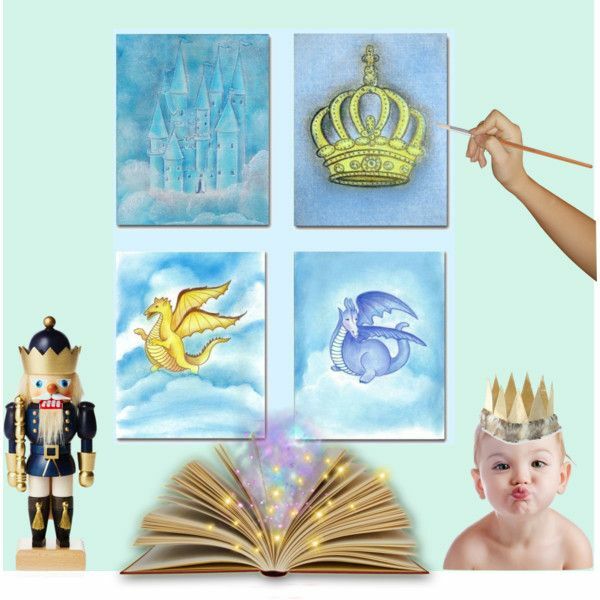 A magical Prince theme for baby boy nursery room in awsome colors, it will decorate your baby boy nursery and make it more beautiful! 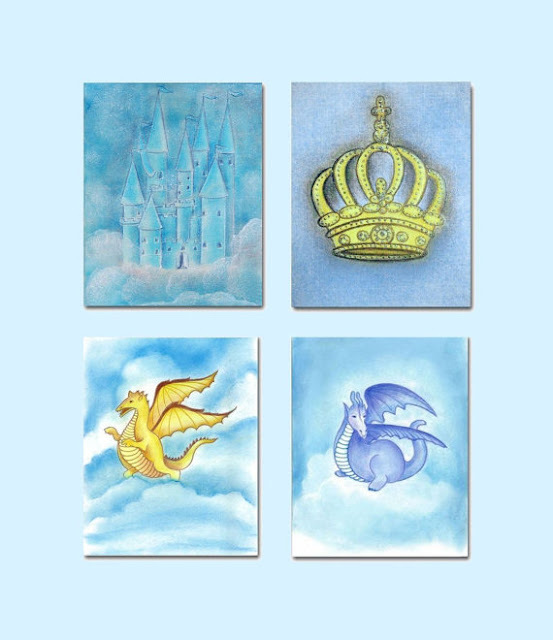 This unique Wall Art SET OF 4, is a beautiful reproduction of my ORIGINAL Hand painted Artwork for Baby Nursery Kids room ! For a Prince baby Nursery Decor this beautifull SET OF 4 Art Prints is a unique piece of Art and a beautiful gift for your little prince!